R. Naresh had never heard of Ikea before it came to his hometown of Hyderabad. 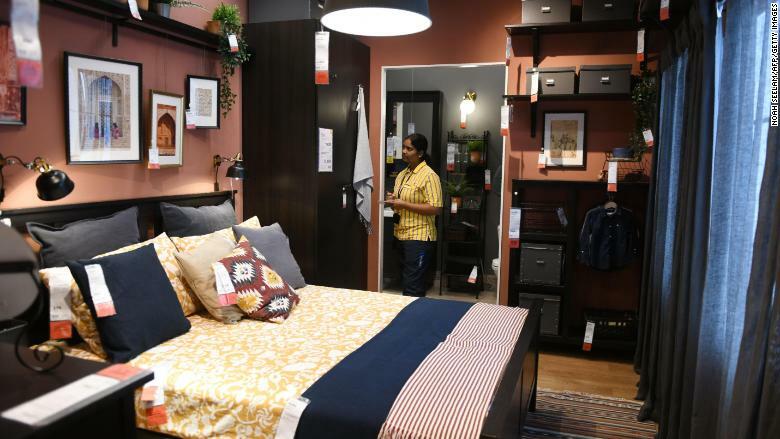 But that didn't stop him from walking through the doors of the Swedish furniture retailer's first store in India shortly after its grand opening on Thursday. "It's such a big store," said Naresh, a food delivery driver who came with his wife and toddler son to check out the prices. "They seem very reasonable," he concluded. "We've been looking for a sofa, outside they cost 15,000 or 16,000 rupees ($233), but in here I saw one for only 11,000 ($160)." 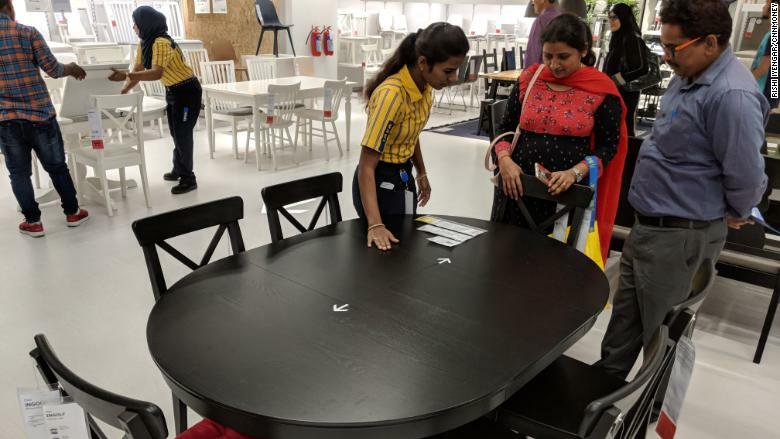 An Ikea employee showing customers a dining table as the store opened to the public on Thursday. Price is a key factor for the Swedish chain as it plunges into India, a huge new market where the average annual salary is less than $2,000. Of the 7,500 items on sale in its Hyderabad store, roughly 1,000 cost less than 200 rupees ($3). The company has tailored much of its product range to suit Indian consumers. 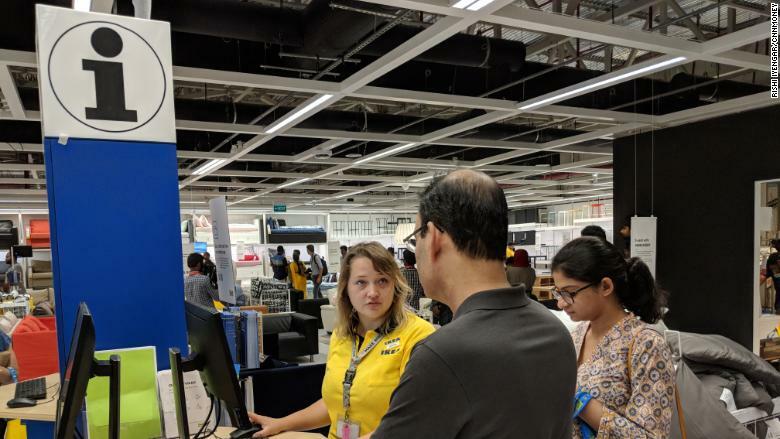 "We have prices so low that everybody can afford to come," said John Achillea, an Ikea veteran who's managing the Hyderabad store. "We're here because we know that Indians love, first, their family, and then second, their homes. And we're here to give them another option when it comes to their homes." An Indian worker takes notes inside a room display at Ikea's new store in Hyderabad on Wednesday. Speaking to CNNMoney two hours after the store's 10 a.m. opening, Achillea estimated that nearly 3,000 customers had already come in. By the end of the day, the number had risen to 40,000, the company said. While some of those shoppers were Ikea newbies, many were familiar with the company's brand and had been waiting for it to come to India. "I was excited and happy that Ikea is coming to India for the first time, and that too in Hyderabad," said Abhishek Chapalamadugu, a tech worker who was introduced to Ikea when he lived in the United States a few years ago. "I'm more of a DIY guy," he added, referring to the chain's do-it-yourself furniture assembly model. "Ikea certainly stands more for DIY, and that's something that is interesting for me." Customers speak to a store clerk at Ikea's new retail outlet in Hyderabad. Many Indians are used to having their furniture built by local carpenters, so Ikea is tweaking its business model to suit the market. The Hyderabad store has 150 employees dedicated to assembling products for customers, a job that Ikea has also outsourced to external workers. The company's efforts in India haven't been without hiccups. 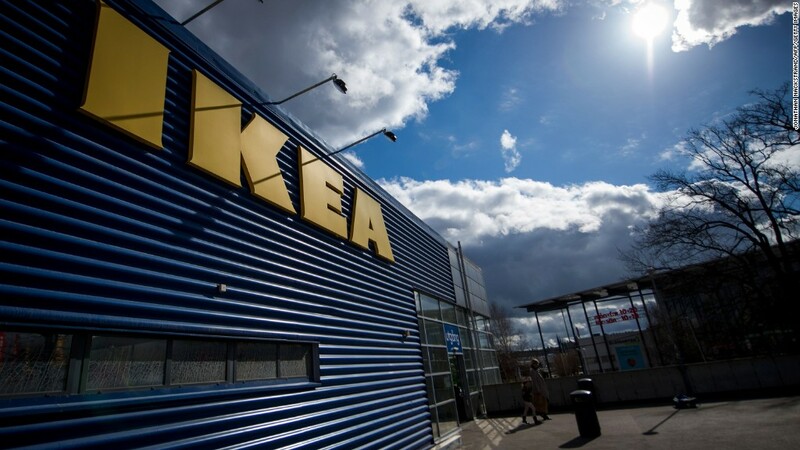 Ikea has been sourcing material for its global operations from the country for around 30 years, but it was prevented from opening its iconic blue-and-yellow retail stores because of Indian restrictions on foreign investment. 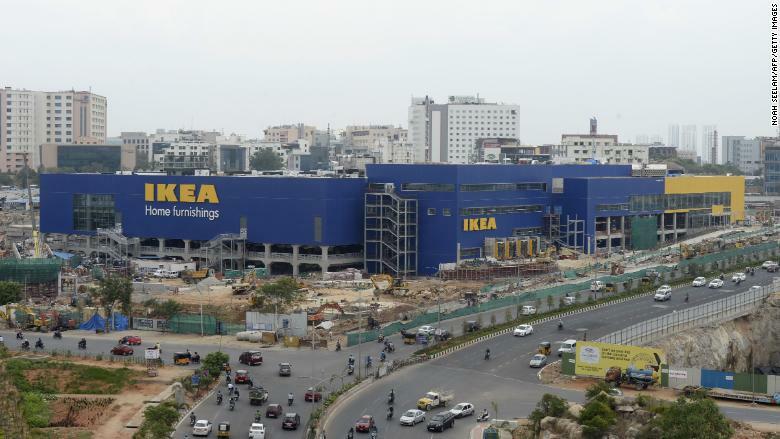 Ikea's store in the southern Indian city of Hyderabad, where it anticipates as many as 7 million visitors a year. Those rules have been relaxed, and Ikea is planning stores in Mumbai, Bangalore and a suburb of New Delhi in the coming years. The launch of the Hyderabad store was initially scheduled for mid-July but was postponed because of quality concerns. When it did open on Thursday, the excitement among customers, workers and Ikea executives was palpable. 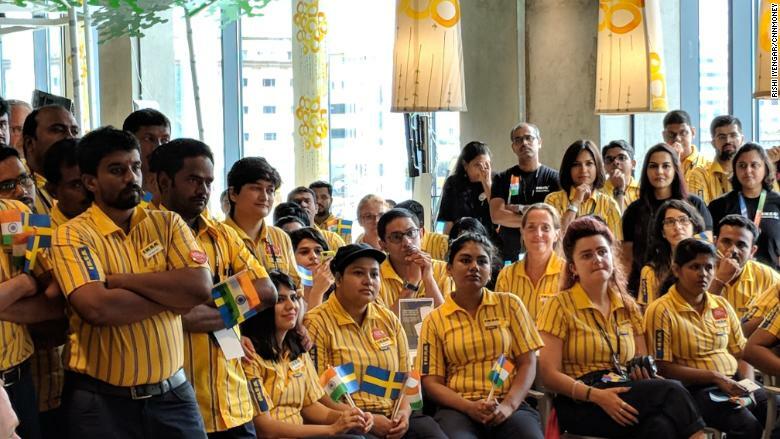 Ikea employees listen to executives give speeches before the company's India debut on Thursday. "It's amazing, and I'm so glad that they are here," said Shalini Shandilya, another first-time visitor who said she was familiar with Ikea but had never been inside one of its stores. "This is my first visit, and I'm just exploring ... but I'm going to be here very often." About an hour before the store opened, several of Ikea's top executives gave speeches punctuated by loud cheers from hundreds of employees. "This will be a moment we all will never, never, never forget," said Ikea India CEO Peter Betzel. "We are not opening a store, we're opening a country."